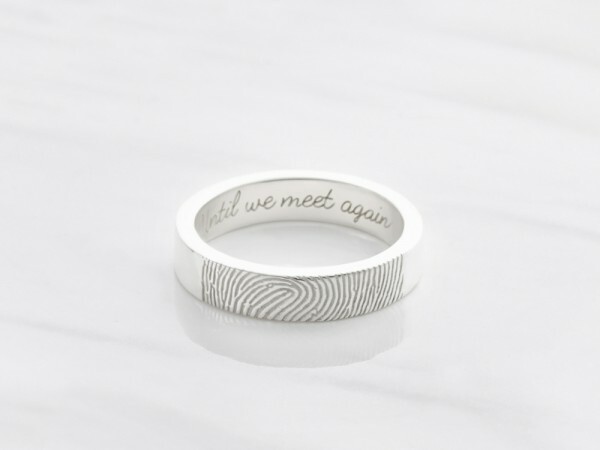 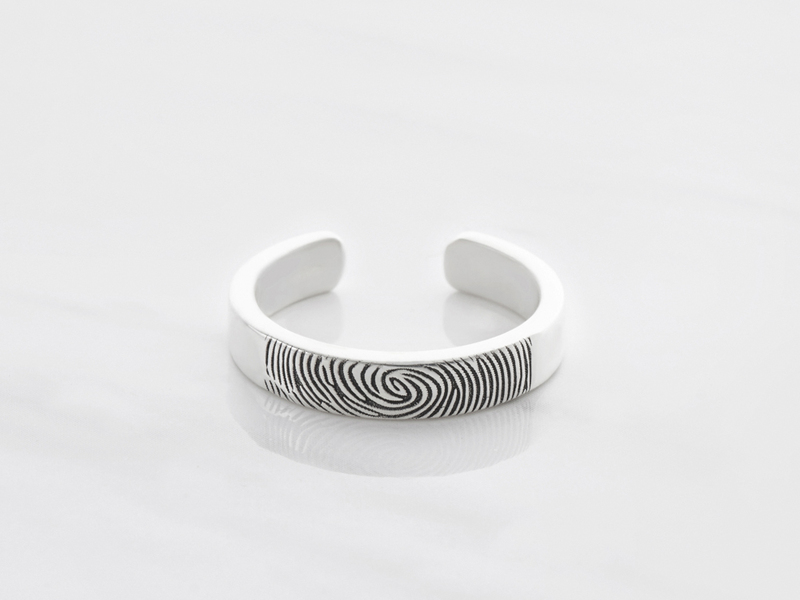 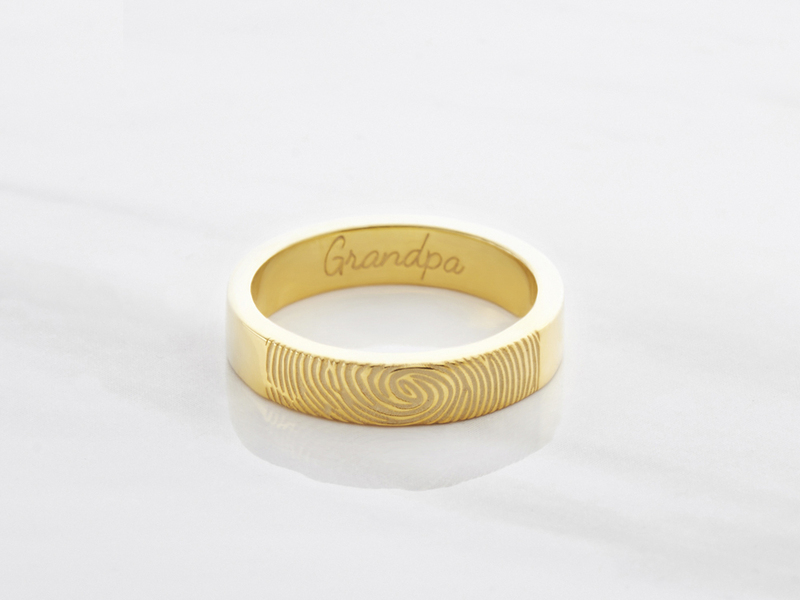 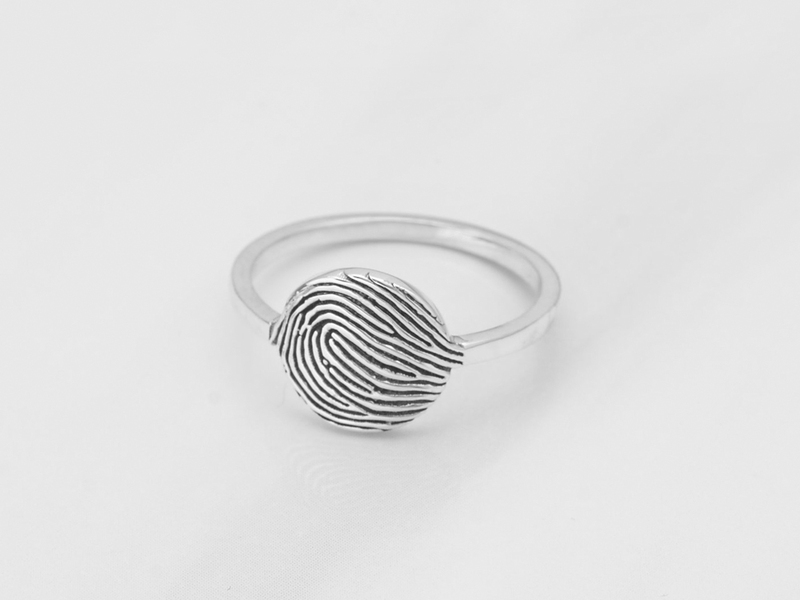 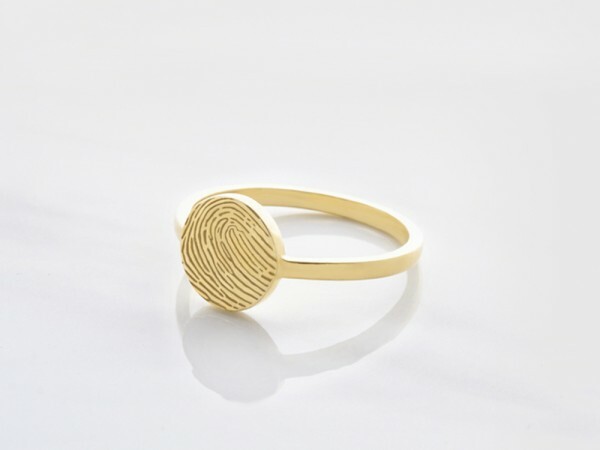 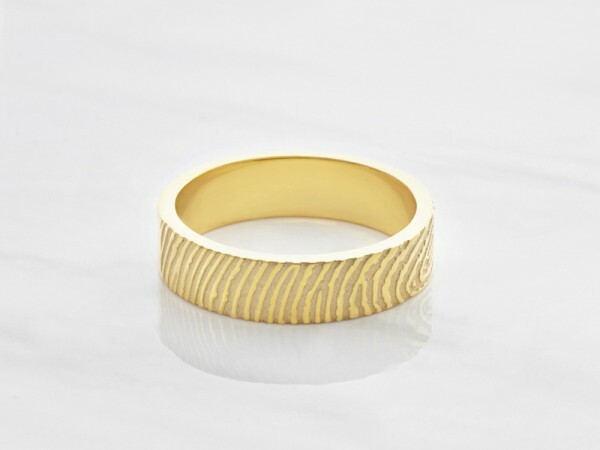 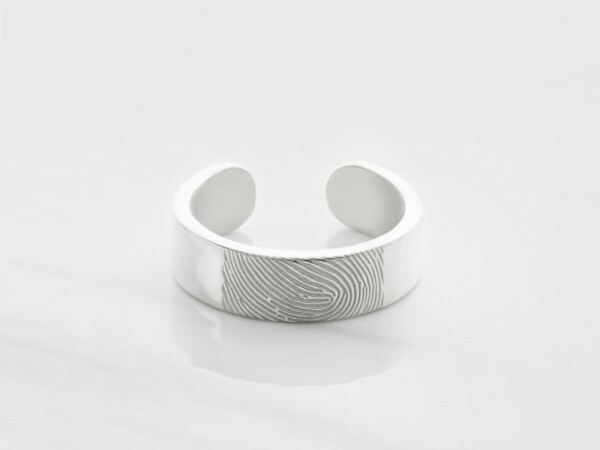 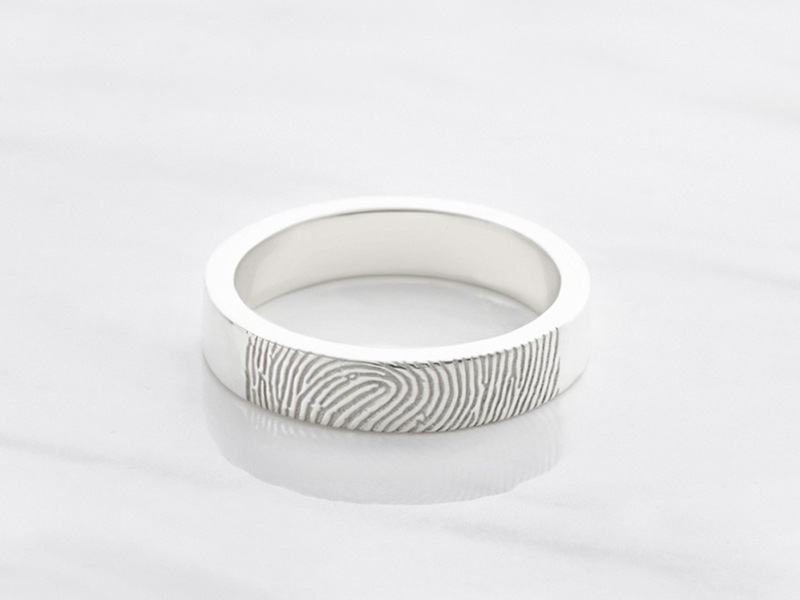 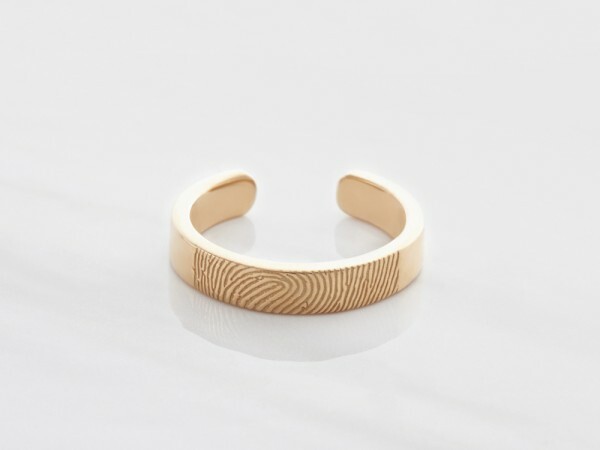 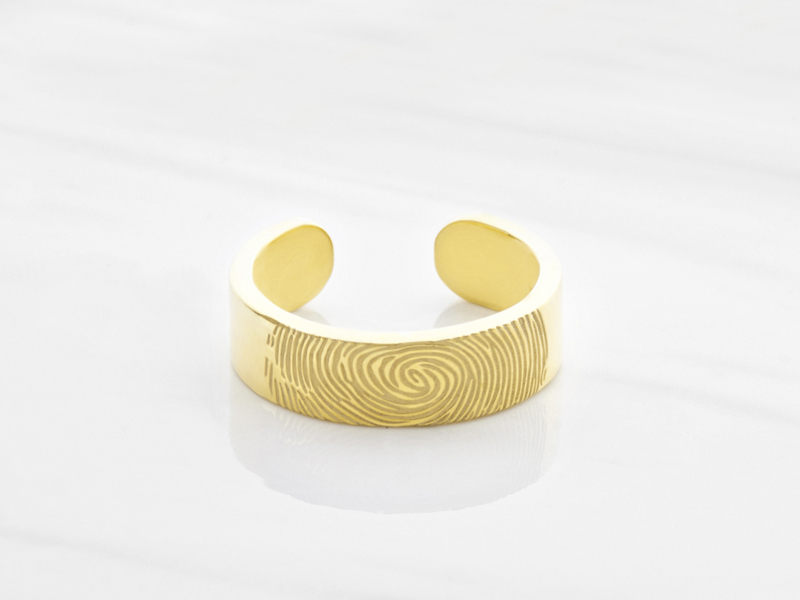 Honor memory of a lost loved one close with a sterling silver fingerprint ring personalized with actual fingerprint. 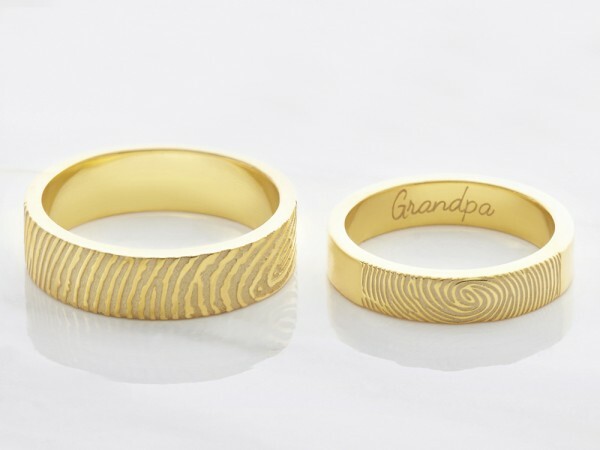 Also available with 18K yellow and rose gold plate options, these memorial rings can be engraved with name or message on the inside. These are available in the men and women's versions, making them perfect as gifts for the entire family.